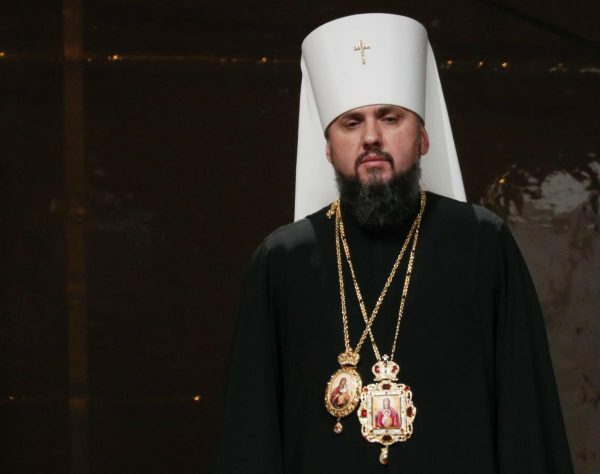 Not one Orthodox Church except that of Constantinople will send representatives to the enthronement of the “Primate” of the Orthodox Church of Ukraine, scheduled for February 3, 2019. The enthronement of the head of the OCU, “Metropolitan of Kiev and All Ukraine” Epifany (Dumenko) will not be attended by representatives of the Local Orthodox Churches, said Protopriest Nikolai Balashov, Deputy Head of the Department of External Church Relations, on Thursday, as reported by Interfax. The cleric emphasized that the voices of hierarchs and Holy Synods of many Local Churches expressed their “profound concern in connection with the intrusion of political forces” into matters of the Church. The Vatican also says that interference by a lay government in religious life is unacceptable. According to Fr Nikolai, at the coming meetings between His Holiness Patriarch Kirill of Moscow and All Russia and the leadership of Local Orthodox Churches, scheduled as part of the 10th-anniversary celebrations of the election of Patriarch Kirill as primate of the Russian Orthodox Church, the situation of Orthodox Christians in Ukraine will be the central topic of discussion. The celebrations in Moscow will be attended by the Patriarchs of Antioch and Serbia, the primate of the Orthodox Church of the Czech Lands and Slovakia, the Russian Orthodox Church Outside of Russia, and also other prominent representatives of the Local Orthodox Churches of the world. “The celebrations will serve as a forum to discuss matters not only in Ukraine, but in world Orthodoxy,” said Protopriest Nikolai. Previously, the head of the OCU, Epifany, announced the date of his “enthronement” as February 3. The ceremony will be held in the Cathedral of St Sofia in Kiev; it was in this church that the head of the OCU performed his first divine service after receiving the Tomos of autocephaly.